87 mins. Rated R for language and some disturbing images. 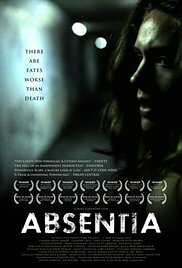 I actually attended the premiere of Absentia back in 2011. It was the first premiere I’d been to and it was quite fun. I had a chance to meet director Mike Flanagan (Oculus, Gerald’s Game) and actor Doug Jones (Pan’s Labyrinth, TV’s Star Trek: Discovery). I was very aware of Jones but it’s been very interesting to follow Flanagan’s career since then. The director has made some high-profile horror films and he continues to climb. Absentia is about sisters Callie (Katie Parker, The Binding, The Last Alleycat) and Tricia (Courtney Bell, Before I Wake, The Puzzle). It’s been seven years since Tricia’s husband went missing, and now she’s ready to declare him dead in absentia. Callie, a recovering addict, has come to live with her and help her through the process. Tricia is having dreams and hallucinations of Daniel (Morgan Peter Brown, Contracted: Phase 2, Trip House) and where he might be if he were alive. 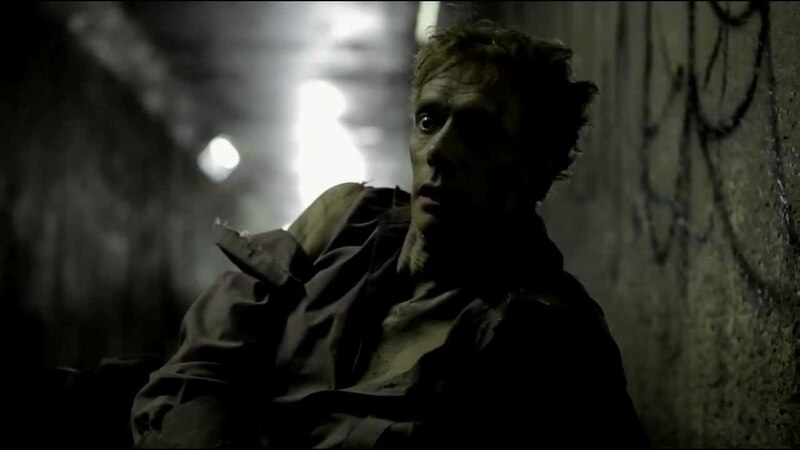 Callie herself is seeing strange occurrences during her morning runs when, in a nearby tunnel, she sees a man calling himself Walter (Doug Jones) and asking for her son. Walter soon also disappears, and it’s clear that the tunnel holds a few secrets for both women. Absentia has an interesting concept. Not many know about the emotional toll that declaring a missing person to be dead has on someone, and tying that to a horror film works very well. Flanagan’s film is light on actual scares, but his use of mood and interesting fleshed-out characters works well enough that the lack of scares don’t really matter in the through line of the narrative. Flanagan’s lead actresses have an emotional core to them that ties the narrative together nicely, and the mysteries of the film don’t feel too easy except in hindsight. Absentia has time to breathe and focus on its characters and thankfully Parker and Bell hold the frame with their performances. Supporting actors Dave Levine (Namour, Chasing Happiness) and Justin Gordon (Gehenna: Where Death Lives, Fun Size Horror: Volume 2) do come across as slightly cliché and formulaic as the detectives working on the case, but this isn’t their story. Absentia is proof that Kickstarter can do great things. The film is dark, ominous, foreboding, and accessible. I would have liked to have felt more dread as I understand it to be what the film was really wanting but missing. At least it is enjoyable enough as a horror film that relies on character action and doesn’t fall back on jump scares. It is an engaging and original early work for an up-and-coming director. For my review of Mike Flanagan’s Oculus, click here. For my review of Mike Flanagan’s Ouija: Origin of Evil, click here.